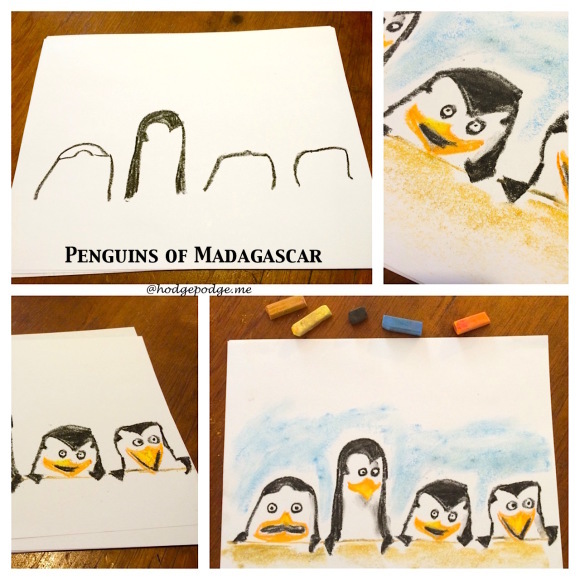 In honor of the latest DreamWorks animation film, Penguins of Madagascar, we thought we’d enjoy a chalk pastel painting! 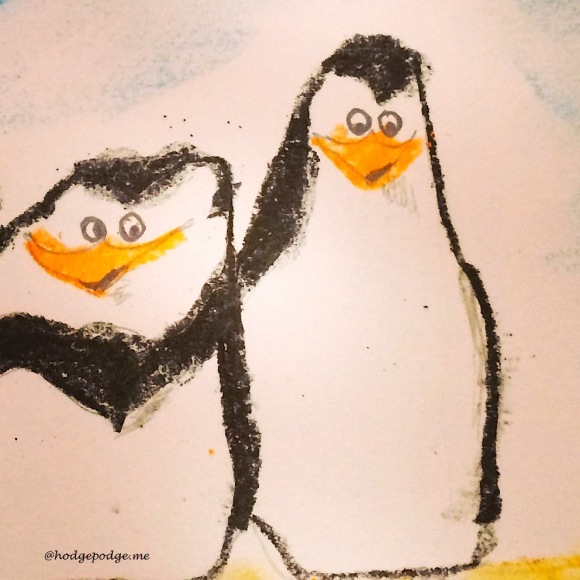 The penguins are such funny little characters and we had fun remembering quotes as we sketched. 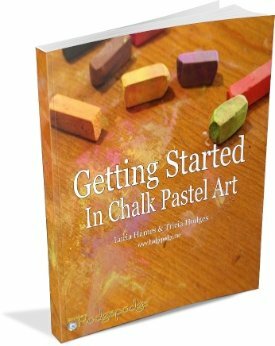 We used these chalk pastels colors: black, orange, yellow and blue. 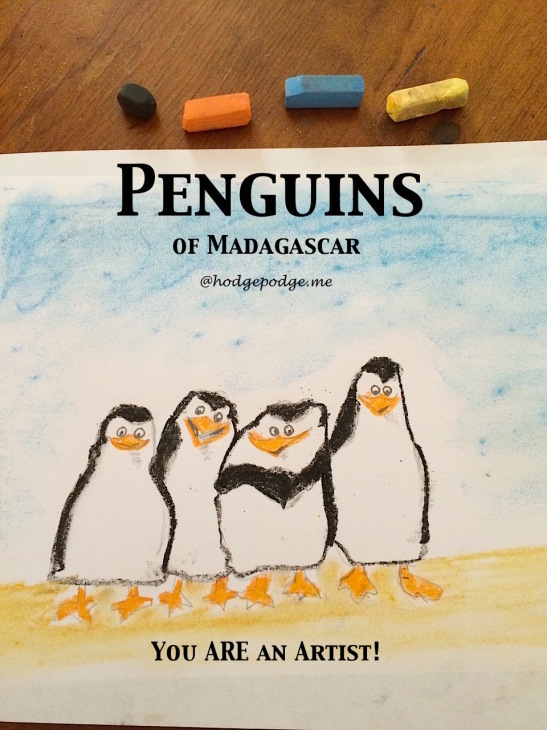 Now we first tried to sketch the penguins with our black chalk pastels. Each penguin has a distinct shape and several different features. However, with the black chalk pastel, we couldn’t get the fine point we needed for penguin eyeballs and flippers. 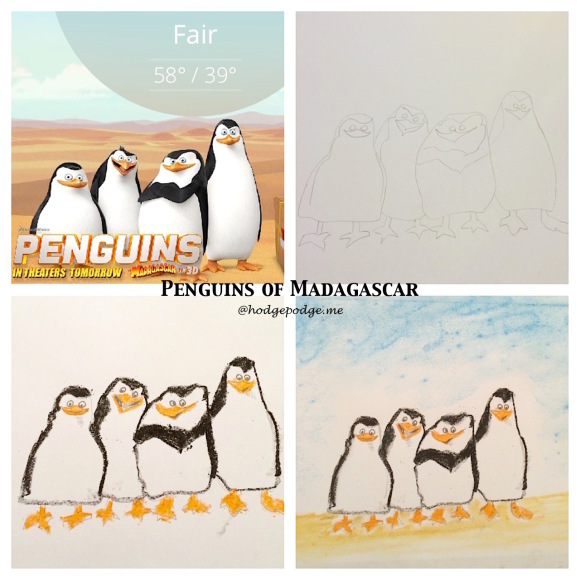 So, we decided to try again – and to first sketch the outline of the four penguins with pencil. (Yes, Penguins appeared on my Weather app! Pictured above, top left.) Using a pencil to create shadows and add little details with the penguins eyes was fun! Just notice their flippers, the personality of each pencil, their ‘smiling’ beaks! See how you can get started in just three steps! Watch the one minute You ARE an Artist video at Southern Hodgepodge. Which penguin is YOUR favorite? Skipper, Kowalski, Private or Rico?